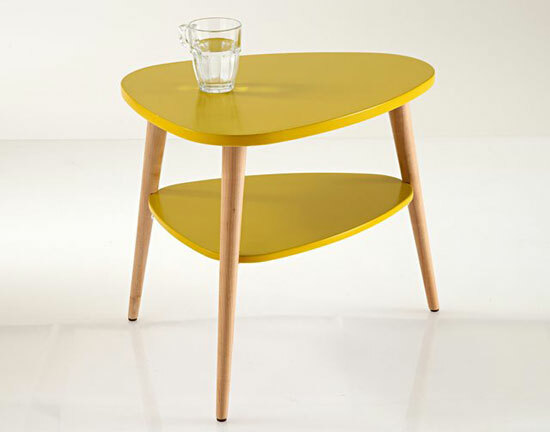 We mentioned the coffee tables of the same name a while back. 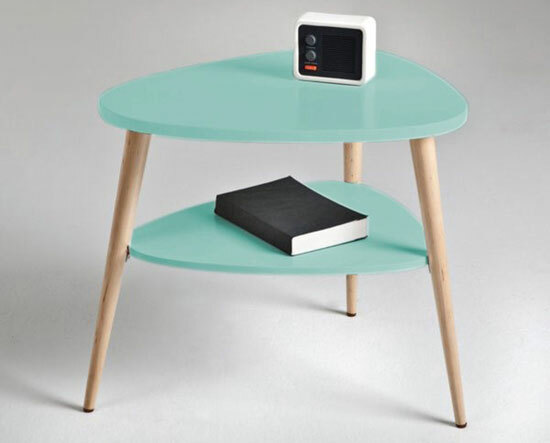 But we didn’t know that the equally stylish Jimi Vintage Bedside Table was also available at La Redoute. In fact, these are quite versatile pieces. 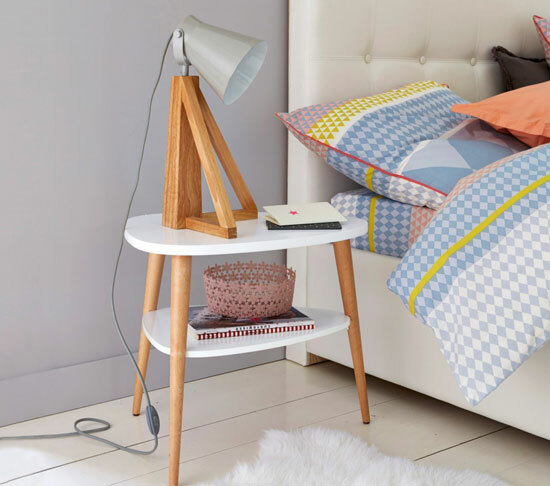 Yes, good for the bedroom Katy the side of the bed, but pretty useful as occasional tables pretty much all over the house as well. 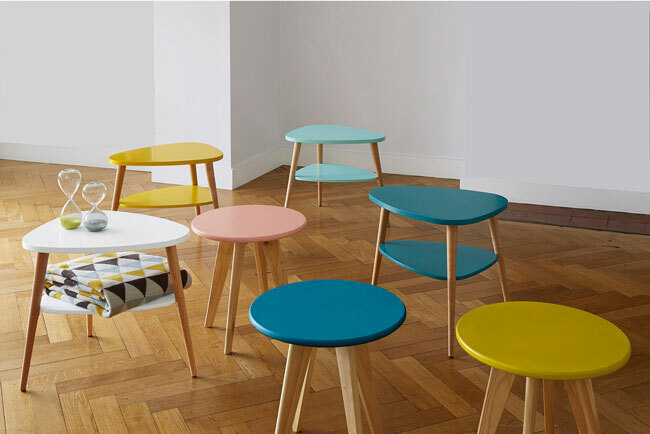 Two plectrum-shaped shelves, angles and tapered birch legs and plenty of colours to choose from for the MDF surfaces. Well priced too, with each available for just £59.